For the past four years, Rick Walker has been shuffled between foster care and group homes. At 14, he's a kid nobody wants or cares about. Now he's headed for Blue Canyon Detention Center. For Rick, life is a maze full of dead ends. But when he is threatened at Blue Canyon and runs away, Rick finds himself in a real maze-the enormous rocky expanse of Canyonlands National Park in Utah. There, Rick meets a biologist who has devoted his life to reintroducing the condor to its natural habitat. As Rick joins him to protect the giant birds, the teenager will begin to see choices instead of dead ends. Will Hobbs has written many popular, award-winning books for young adults. Works such as Beardance, The Big Wander, and Downriver have won ALA Best Book Awards. 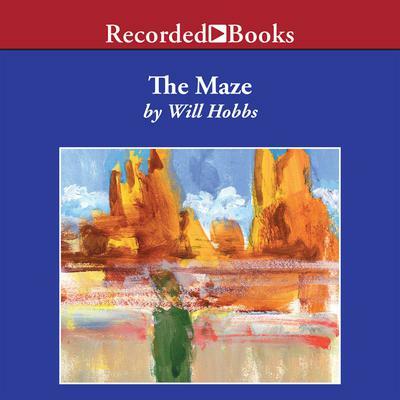 The Maze is filled with riveting adventure in an unforgettable wilderness setting. Ed Sala's taut narration sets the perfect tone for Rick's journey toward confidence and trust.